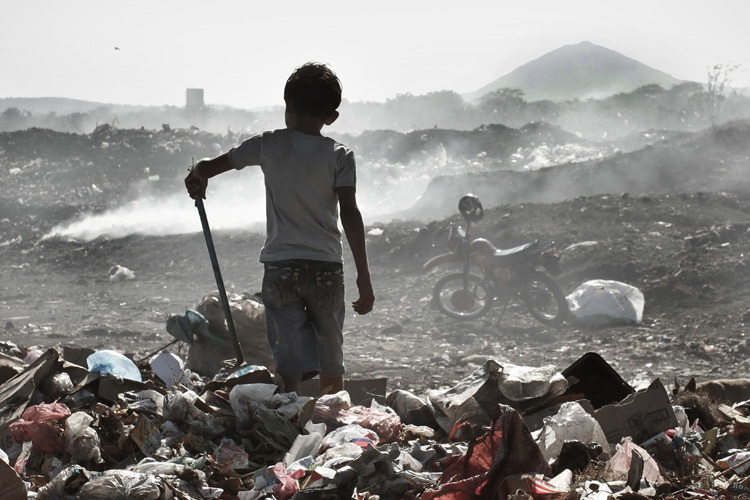 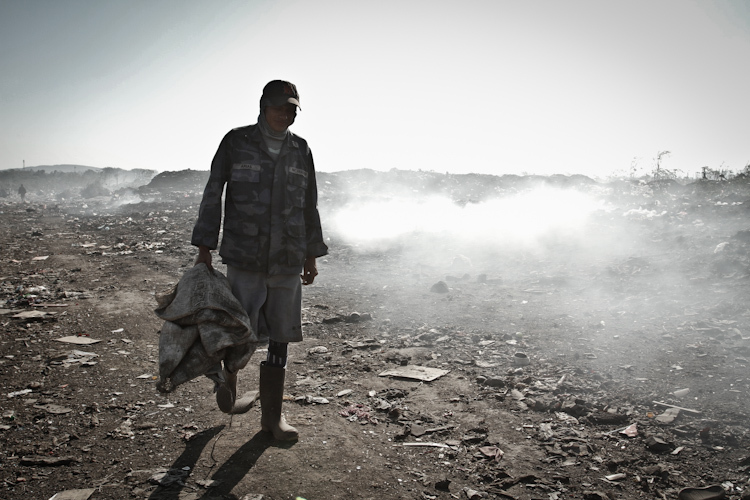 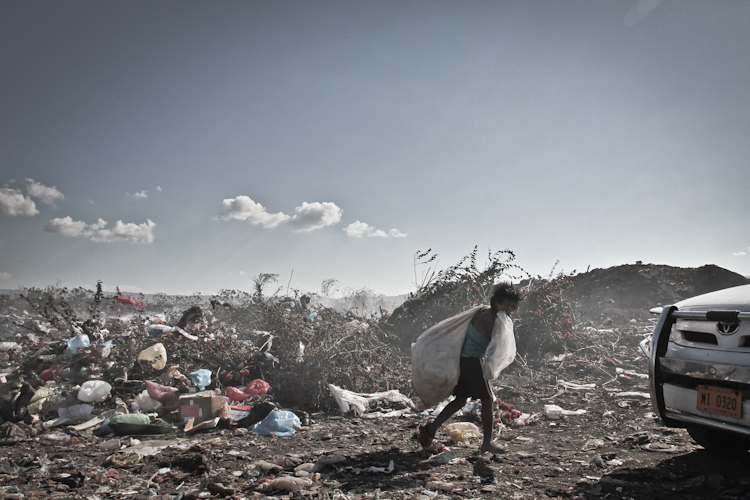 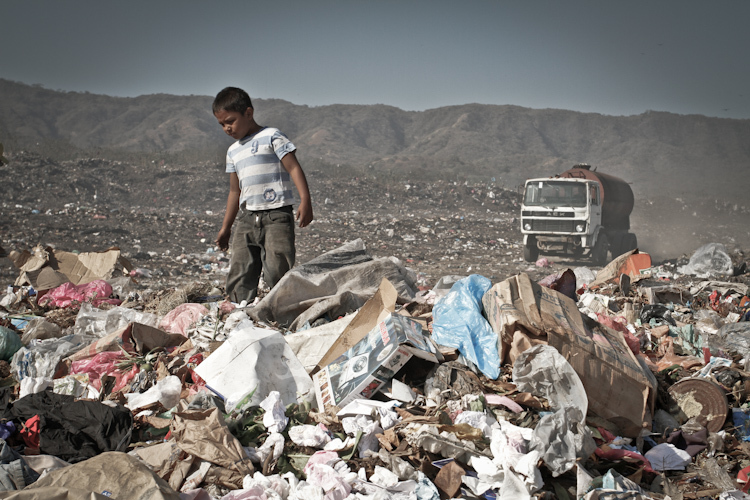 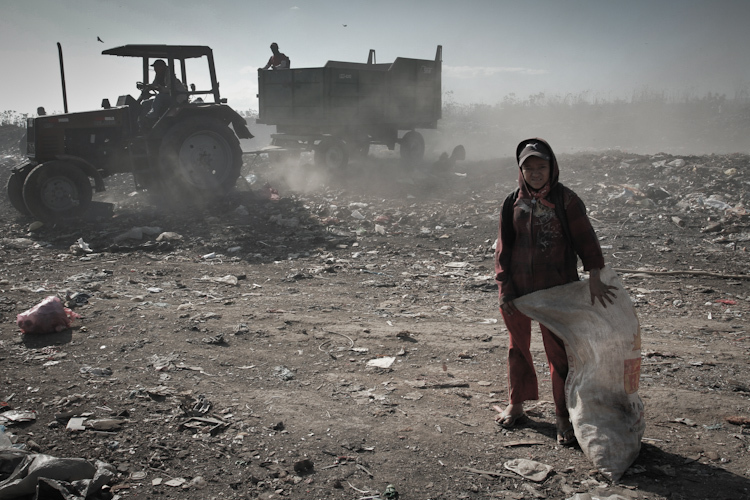 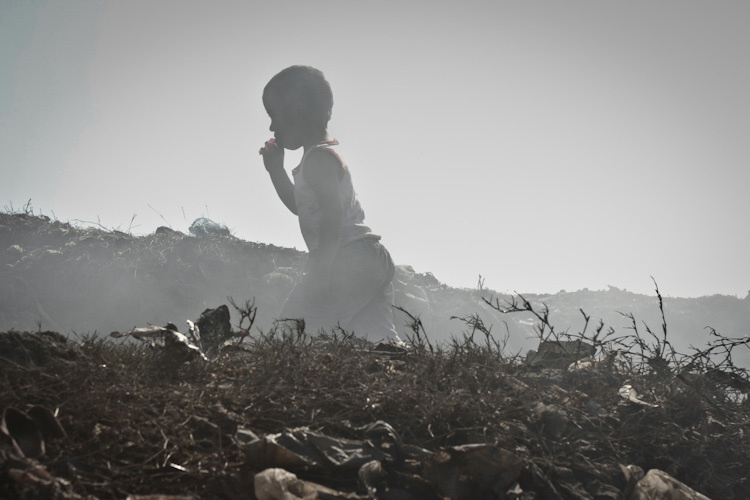 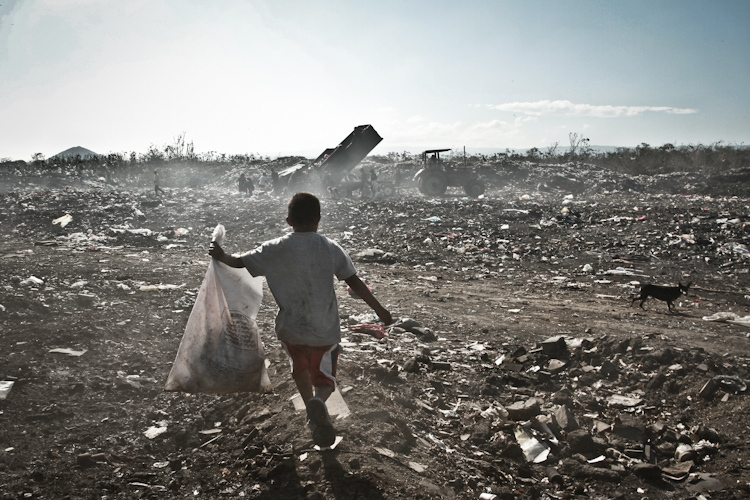 Focused on the children’s daily life in the Ciudad Sandino’s landfill site, the photo reportage shows the harsh reality of these little lives spent between the perpetual toxic smoke generated from the waste that is slowly burning under their feet. 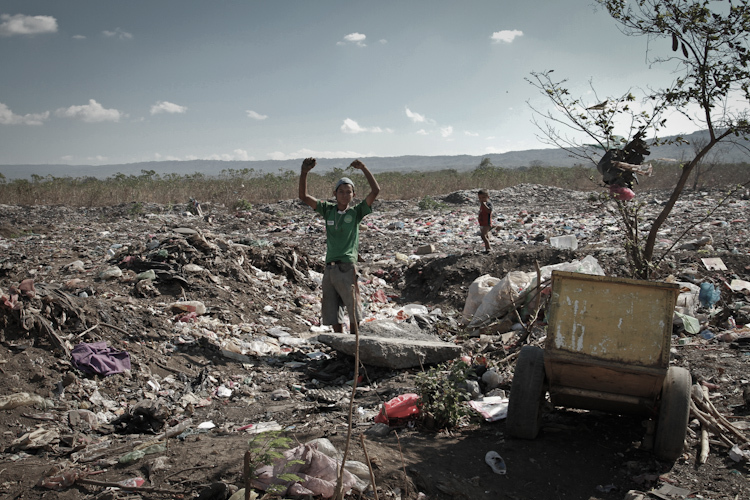 We are on the outskirts of Managua, the capital of Nicaragua, in one of the largest open-air landfill in Central America. 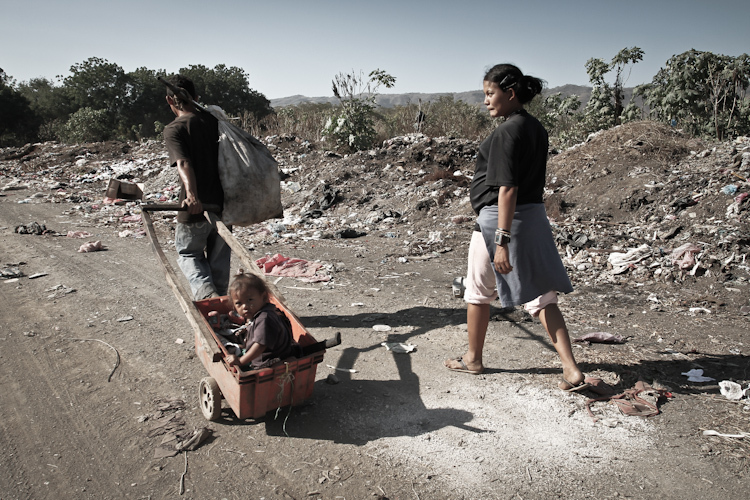 The presence of children makes this place even more surreal. 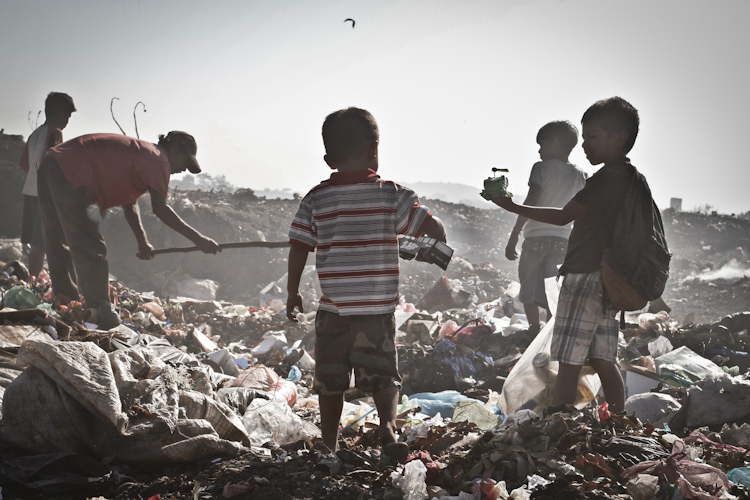 With their parents they rummaging in the trash to pick up and then resell everything that is recyclable: metal, paper, cardboard and plastic bottles. 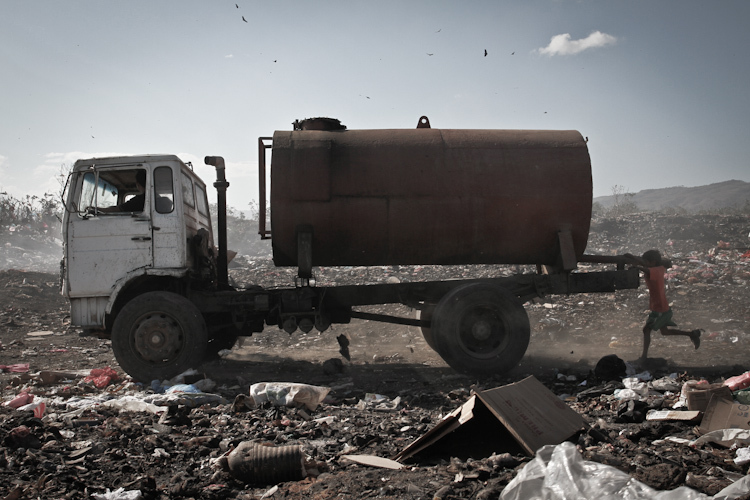 The dust raised by the wind and trucks, gets inside your cloths, the feeling is horrible. 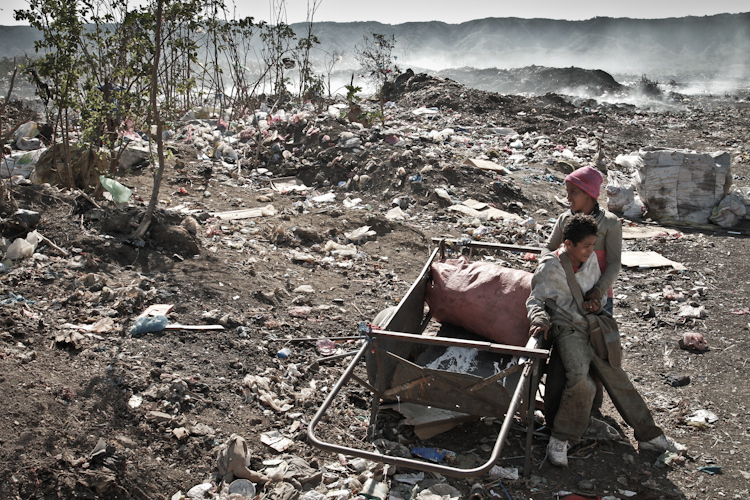 However, when a landfill is a source of live for your family, the dust is the least of your worries. 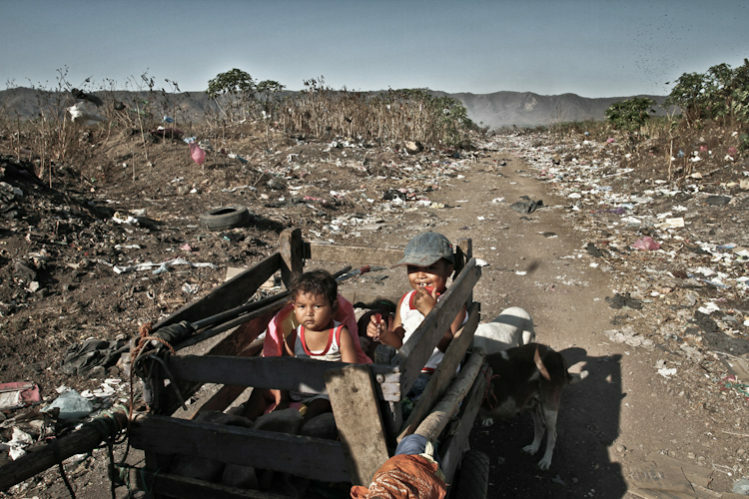 Sometimes occurs that a children find a toy, he hold fast in his school backpack, the same backpack used to go to school in the morning.